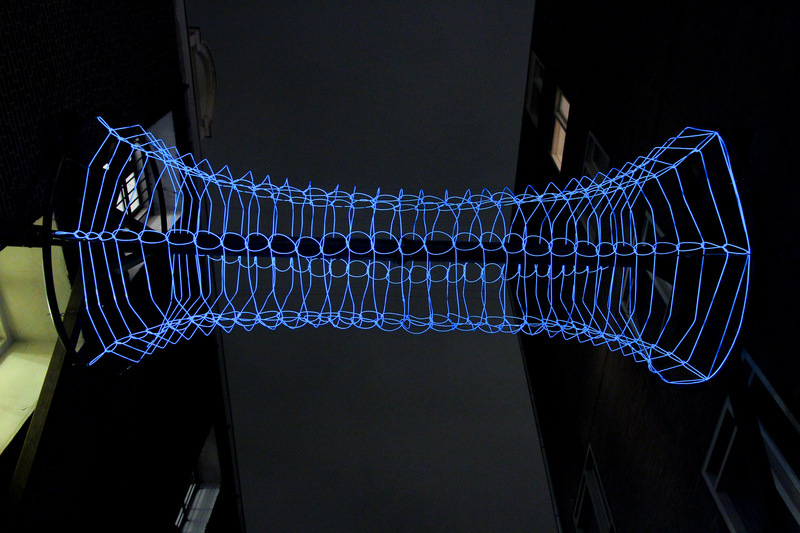 Weft (2015) is an installation combining sculpture, light, craft and science fiction. Multidisciplinary artist Meagen Streader describes its shape as: ‘An elongated vortex of electricity and light.’ An extraordinary process led to this exciting work, for Weft was made by applying time-honored traditional weaving methods. For her work, the Australian interdisciplinary artist Meagan Streader commutes between Melbourne and Brisbane. She creates site-specific works that enter into a dialogue with the existing architecture. 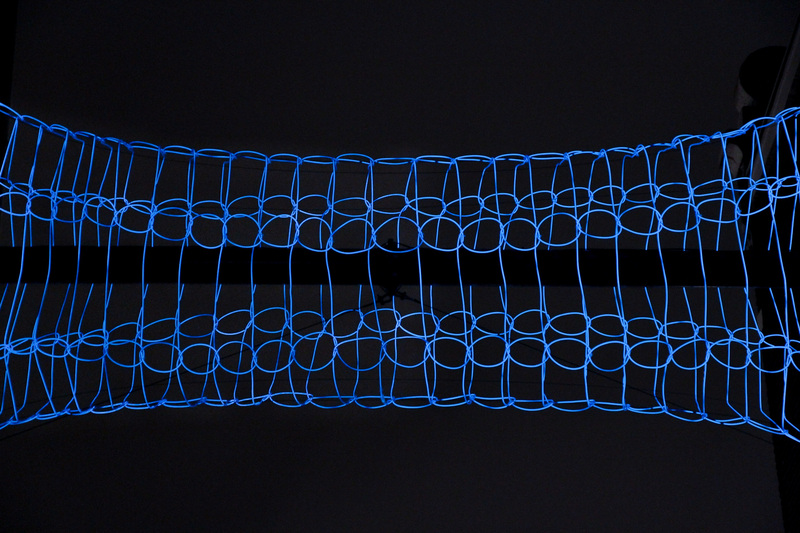 By repeating images, shapes and fabrics, Streader creates interplays of form and structure. Through the creation of installations, sculptures, and light and sound art, she researches natural and futuristic landscapes.